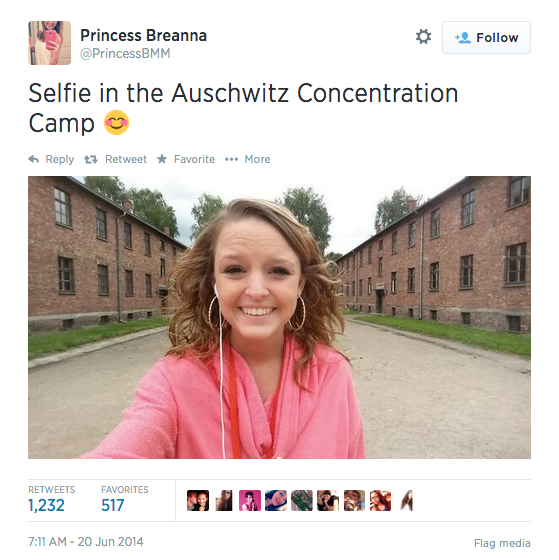 Yes she may have chosen the wrong title "Selfie in the Auschwitz Concentration Camp" but it is simply just a selfie. So calm down people. 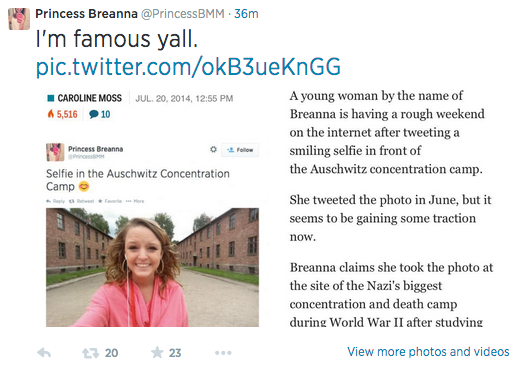 Why are people RTing the girl who did a selfie at Auschwitz? Its a little misjudged, but hardly worthy of comment. 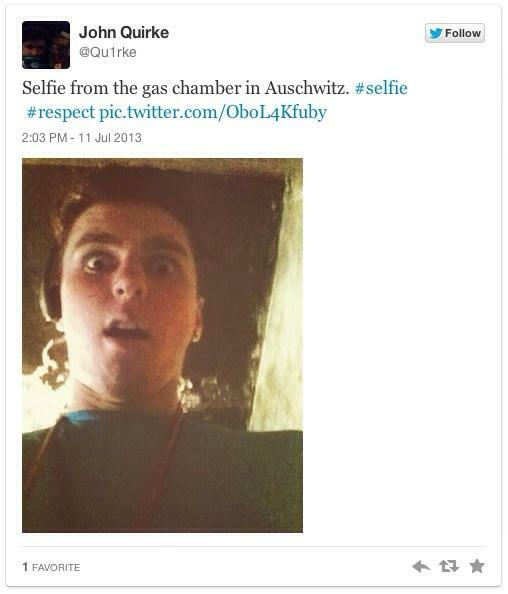 Taking a smiling selfie at Auschwitz? Kinda disrespectful, even if unintended. Harassing teenager online because she did it? Not okay. How're you gonna post a smiling selfie in Auschwitz????? Do you know how pathetic society has become? 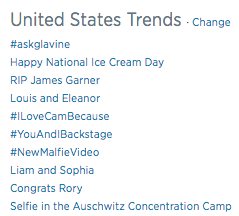 A girl took a selfie in Auschwitz Concentration Camp and it's trending on here.